Awamori is an ancient alcoholic beverage indigenous to Okinawa. It is distilled from rice. The awamori distillation process originates from Thailand. It is different from sake, mainland Japan’s indigenous drink. Sake is brewed, and not distilled. In addition, Sake is made from short-grain Japonica rice. Awamori, on the other hand, is made from long-grain indica rice imported from Thailand. I frequently see clusters of aging awamori pots in and around the Tsuboya Pottery District in Naha on Okinawa Island. 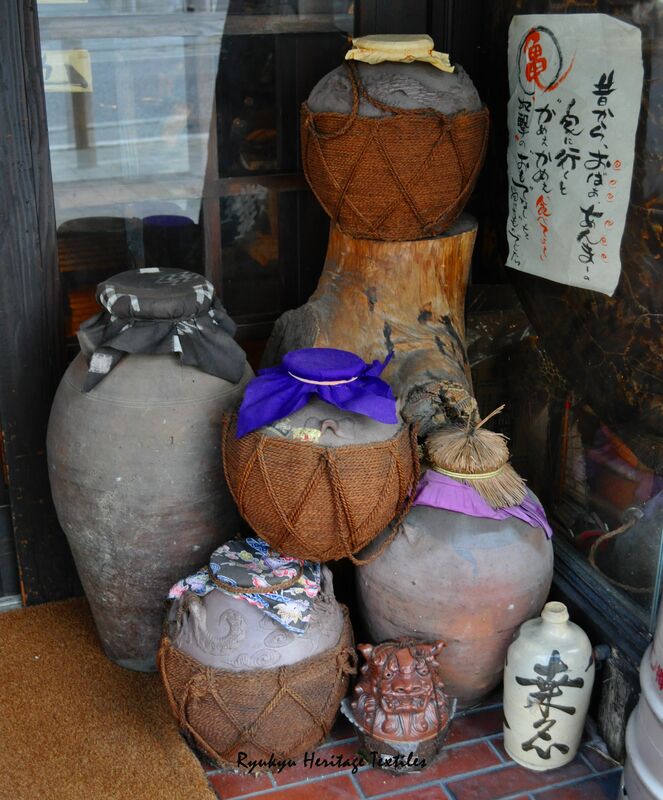 When i see the aging awamori pots, it makes me want to dye. Why? Well, awamori is a key ingredient in fermented Ryukyu Ai (indigo dye)!